From tournament director Lars Lau’s perspective, last weekend’s Kokkedal Open that took place in Kokkedal and Hillerød, Denmark “came together like clockwork.” Even when Mother Nature interrupted the otherwise beautiful weather of the weekend with a torrential downpour, she had the courtesy to do it during Saturday’s lunch break. 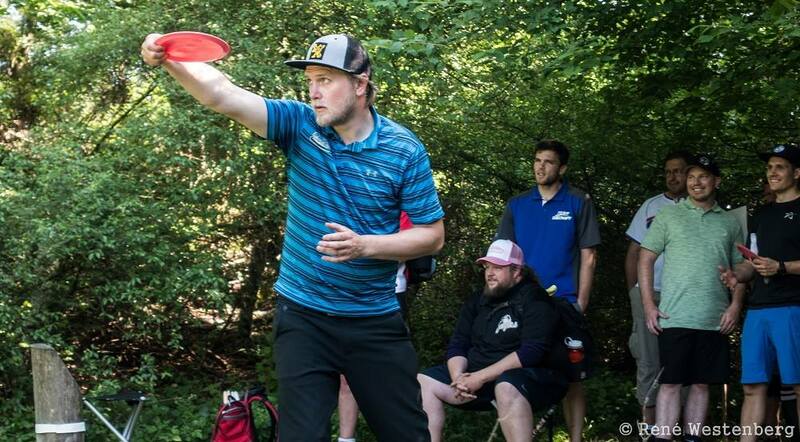 The Open Women and Open fields also provided surprises and tension that helped make the largest disc golf tournament in Danish history—162 participants—a success. There was no true upset in Open. The well-known Dane K.J. Nybo—whose 1027 rating was the highest of any player at the event—defended his home turf from 993-rated German challenger Elias Güldenhaupt. Nybo averaged 1018-rated golf and earned the victory with a 27-under par 193. Güldenhaupt took second with a 24-under par 196. The Danish Spliid brothers-in-law battled it out for third, with 1004-rated Martin Spliid narrowly edging out 999-rated Kristian Spliid by one stroke. They ended respectively at 15-under par 205 and 14-under par 206. The courses were generally considered both challenging and of extremely high quality. Eventual Open Women winner Perendi felt that she didn’t live up to those demands at first. After the first day, Perendi was one stroke off the lead held by Fischer. However, Perendi righted the ship and carded a 917-rated 4-over par 70 third round—55 points above her rating. With Fischer coming in with a 12-over par 78, Perendi had earned solid seven-stroke lead heading into the final. “In the final, I kept an eye on others but mostly just tried to play my game to hold my lead,” Perendi said. This casual strategy was all that she needed to take home the win. The final was tighter on the Open side—even if it didn’t look like it would be after day one. Nybo had opened up a seven-stroke lead on the field with his first two rounds, one of which was a scorching, bogey-free, 1052-rated, 12-under par 54. On day two, however, Nybo couldn’t retain that momentum and solid play from Güldenhaupt helped make things more interesting. A relaxed mind helped Güldenhaupt not only exceed his goal (he played two full rounds and the final 9 with Nybo) but gave him a legitimate chance at besting the legend himself. After drawing within four strokes of Nybo in round three, it took only one hole in the finals for him to pull within two. Unfortunately for Güldenhaupt, he gave two strokes back with consecutive bogeys to Nybo’s pars on the fourth and fifth holes of the final and couldn’t surmount the gap that created. In the battle for third, the final round was even tighter. Even with two strokes on brother-in-law Kristian, Martin Spliid was still nervous heading into the last hole of the event—the aforementioned XXL. Despite the nerves, Martin took a par on the long par 4. This proved just enough to end one stroke ahead of Kristian, who impressively carded a three on a hole where the field averaged 4.4. Martin was still excited about the weekend despite finishing one position lower than he did in the 2017 Kokkedal Open. He commented that the ‘Kokkedal Open is one of the best-run tournaments in Europe’ and praised the hard work of volunteers, amazing courses, and a ‘relaxed atmosphere’ for making the event one of his favorites each season. 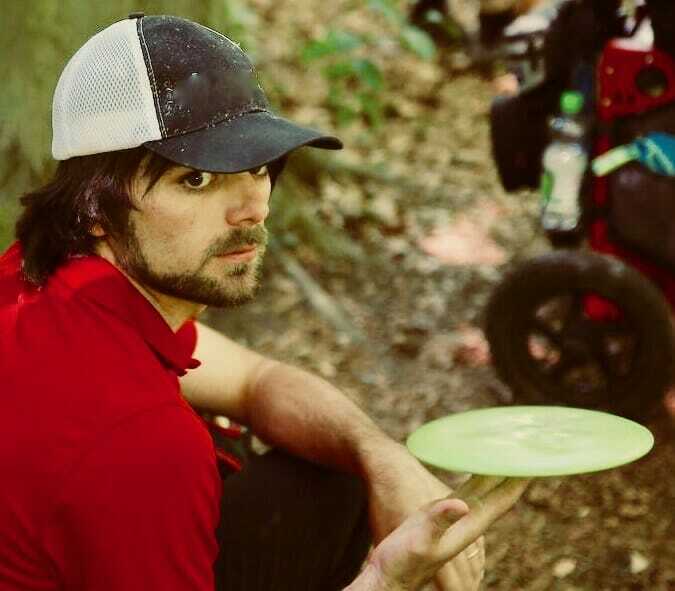 The next PDGA EuroTour event is the Creeksea Open in Burnham-on-Crouch, England on June 9th and 10th. Comments on "Nybo And Perendi Claim Top Spots In Kokkedal Open"